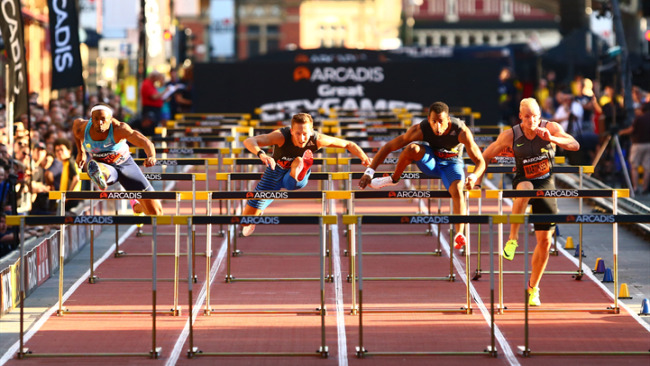 HARRY Aikines-Aryeetey and Reece Prescod will lead British hopes in the 150m sprints at the innovative Great North CityGames street athletics meeting this weekend. 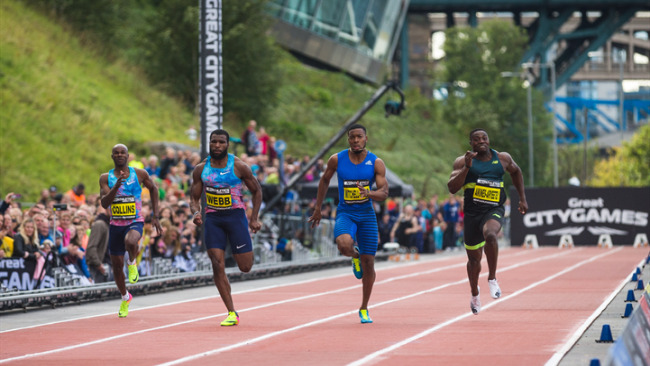 Aikines-Aryeetey and Prescod will take on America’s Elijah Hall and Ireland’s Leon Reid in the 150m straight line race on the four-lane pop-up track on Gateshead Quayside on Saturday afternoon. Aikines Aryeetey added another medal to his impressive trophy cabinet when he anchored the 4x100m Great Britain relay team to glory in the European Championships in Berlin over the summer, while Prescod took a superb silver medal in the 100m final in Germany, finishing second to British teammate Zharnel Hughes. 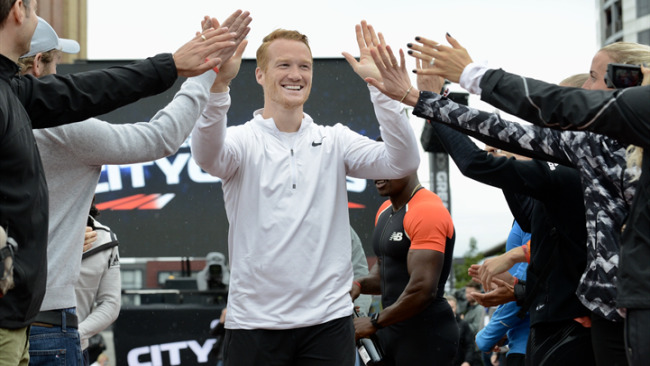 Hall is an up-and-coming American sprinter who is coming to the end of his first senior season after an excellent college record, while Reid took bronze for Northern Ireland in the Commonwealth Games earlier this year. Commonwealth champion Michelle-Lee Ahye heads up the women’s field over the 150m. The Trinidad and Tobago 26-year-old won her first major championship on the Gold Coast in April after previously taking silver as part of the 4x100m relay team at the World Championships in Beijing in 2015. Ahye will line up against Great British pair Jodie Williams and Daryll Neita. Both are European Championships gold medallists as part of Great Britain relay teams, with Neita part of the 4x100m team that won in Berlin this summer, and Williams a winner in Zurich four years ago. 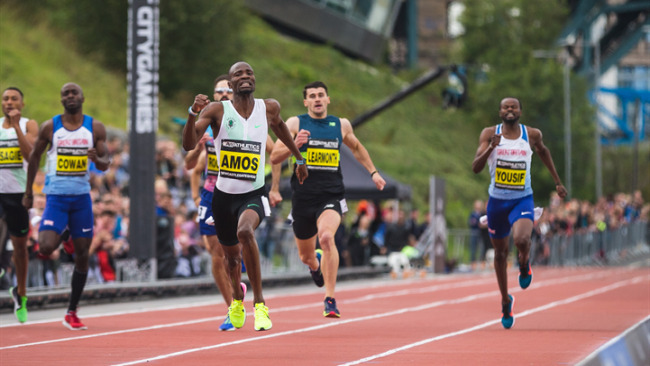 Jamile Samuel, who won gold with Holland in the European Championships 4x100m relays in 2016, makes up the four taking on the 150m. With a range of events on offer from 100m sprints to the one-mile distance, and including pole-vault and long jump in a specially constructed multi sports arena on the banks of the Tyne and for the first time in Stockton-on-Tees, the Great North CityGames kicks off a weekend of first-class sporting action which encompasses the Simplyhealth Junior and Mini Great North Run, the Simplyhealth Great North 5k, the Simplyhealth Great Tees 10K and finishes with the world-famous Simplyhealth Great North Run on Sunday. 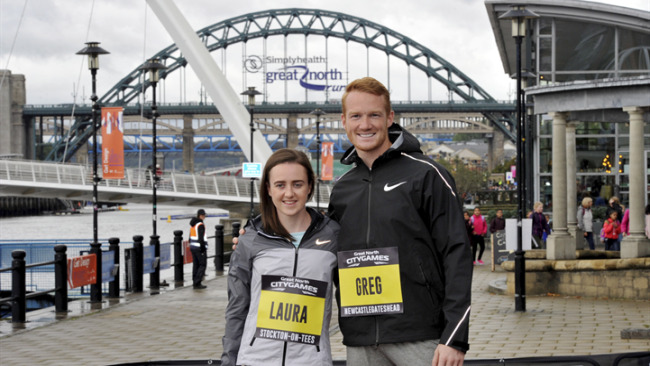 The athletics action is free to watch, no ticket is required, and the event is broadcast live on BBC One from 1.15pm.